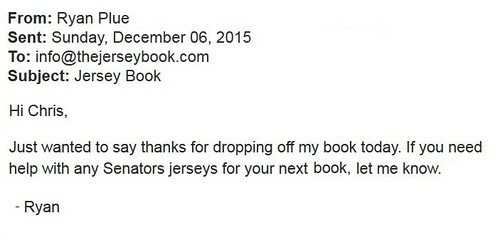 Following the release of The History of the NHL Hockey Jersey, 1983-1993, I received an email from Ryan Plue, a Sens fan and game worn jersey collector, here in Ottawa. 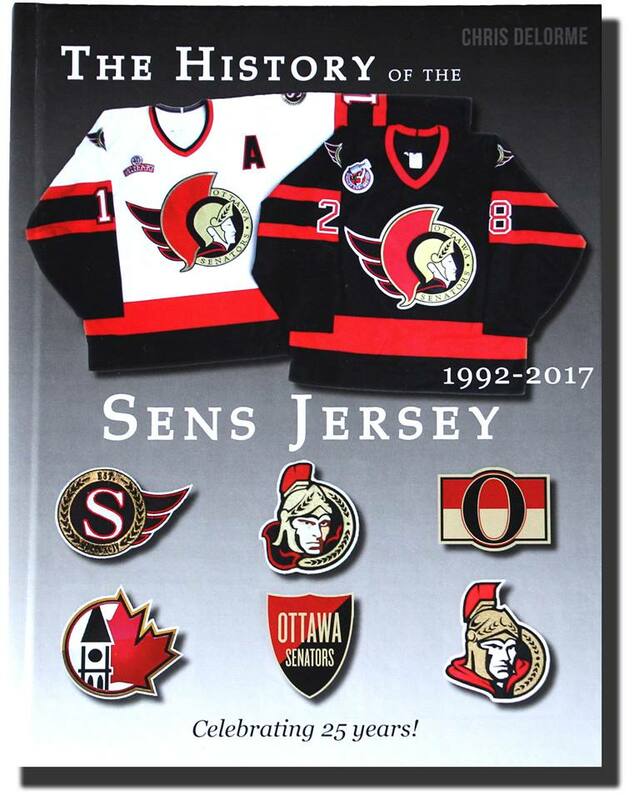 The email prompted a discussion, one thing led to the next, and before long, I was graciously invited to see the greatest collection of game worn jerseys in modern-day Ottawa Senators history. 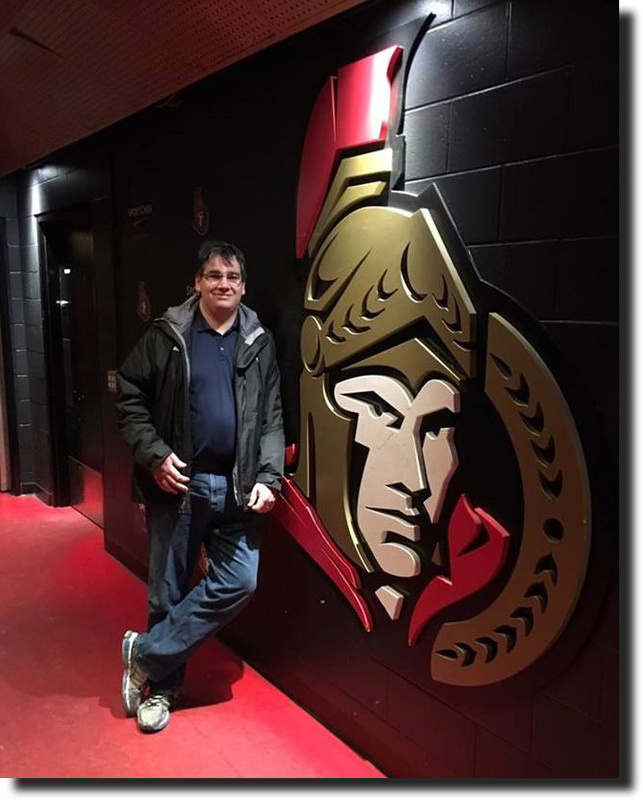 Putting 1994-04 on temporary hiatus, my production assistant, Hilary Chaiton and I then focused our attention on the hometown club, and looked to the past 25 years of the Ottawa Senators organization in the Nation’s Capital. 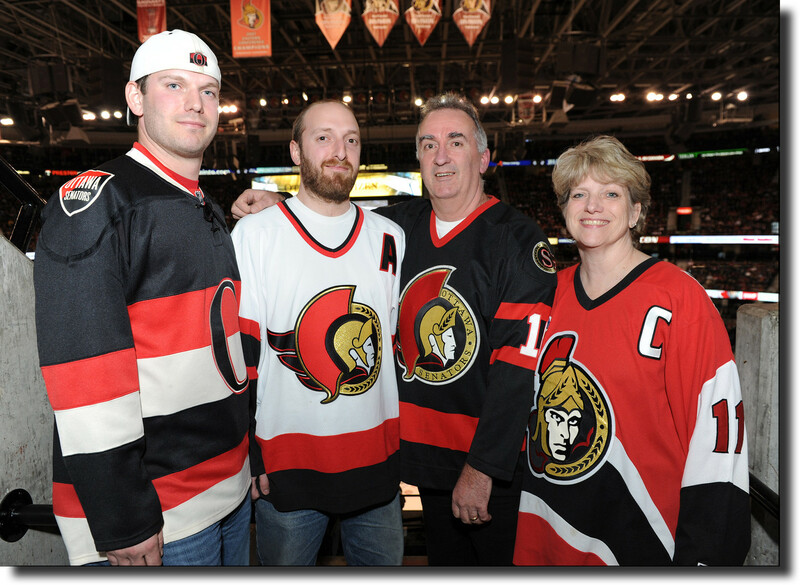 Ryan Plue is pictured wearing Daniel Alfredsson’s 2002 playoff jersey, worn May 10th in Game 5 of the Eastern Conference Semi-Finals. This jersey was worn by Alfie when he infamously checked the Toronto Maple Leafs’ Darcy Tucker from behind, and then quickly returned to the play to score a goal. A defining moment in the Battle of Ontario, the incident only served to fuel the fire of continued animosity between the two clubs. 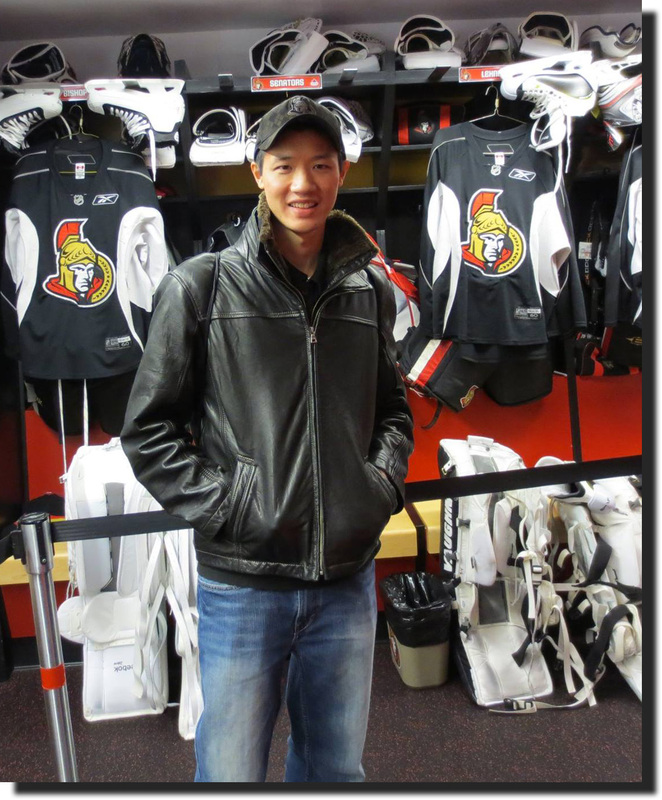 Fast forward a few months (and several chapters later), I found a blogger by the name of Kevin Lee - a regular online contributor to all things Sens - who wrote a great 10-part piece about the Ottawa Senators original ‘Bring Back The Senators’ campaign from the late 1980s. I promptly contacted Kevin, who was more than happy to share his original campaign memorabilia. 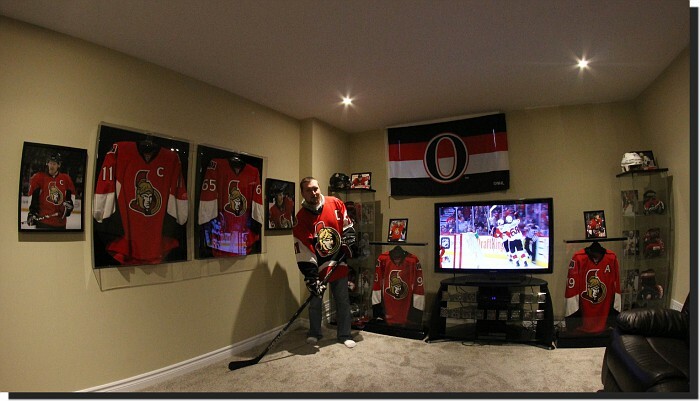 As word got around, several other collectors reached out, including Marc Gratton, Jonathan Daniel Plue, Chris Mustakas, and Tim Williton, who also offered pieces from their collections to tell the Senators story. 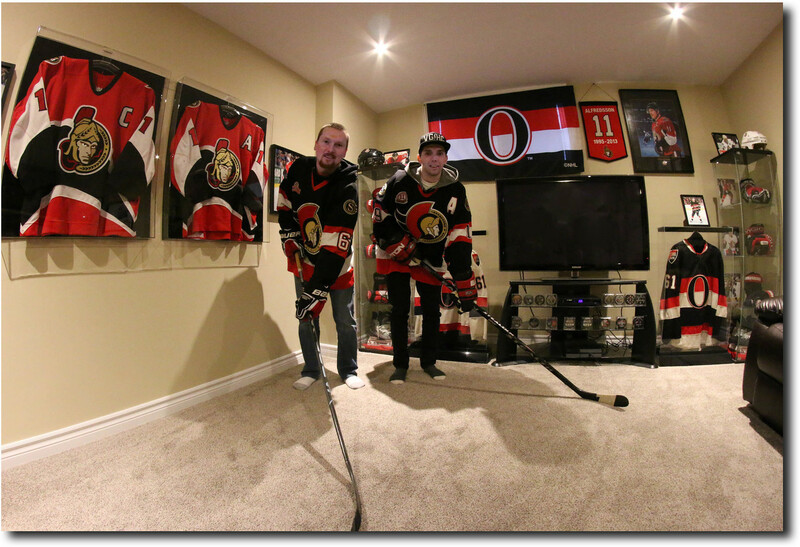 Marc Gratton supporting the Sens at the CTC, while Ryan and JD Plue show off some prominent pieces from their impressive collections. 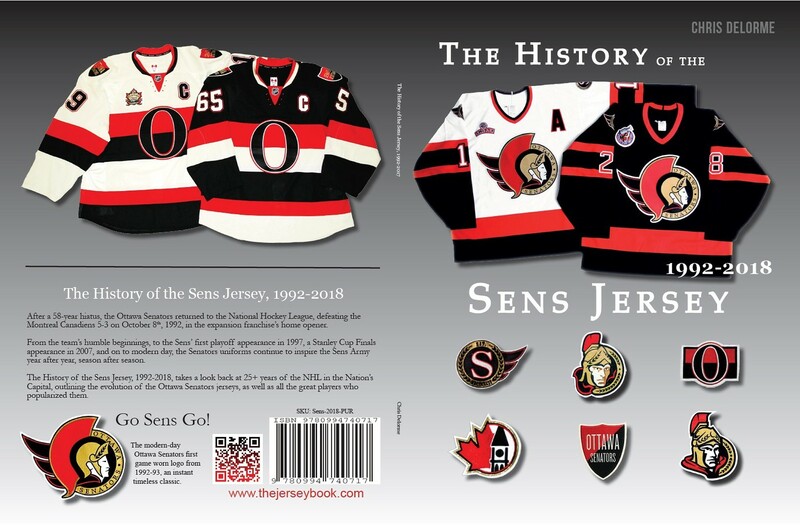 Add to the team regular go-to’s Jonathon and Denis Rouleau, and a great collection - of both people and memorabilia - was assembled in order to map out the history of the modern day Ottawa Senators jerseys, players, and franchise. 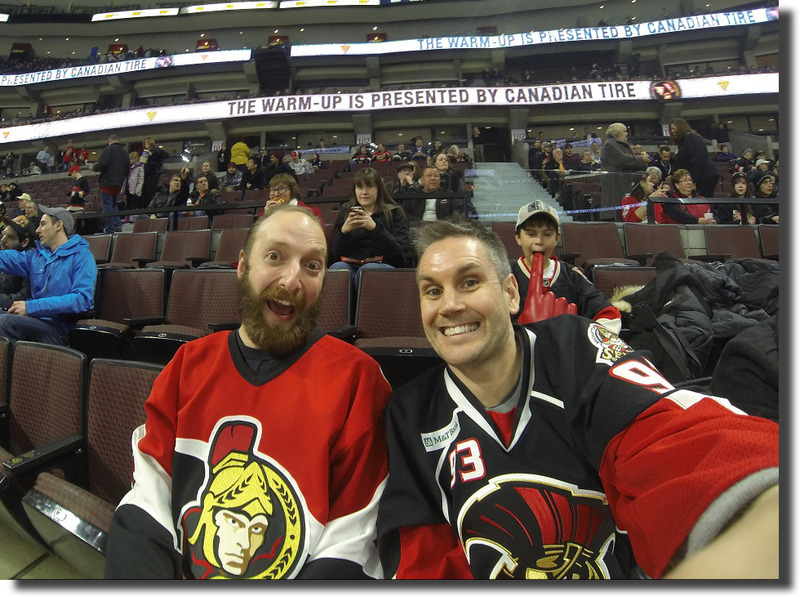 Sens fans Jonathon Rouleau, Chris Delorme, and an unsuspecting photobomber during pre-game at the CTC. 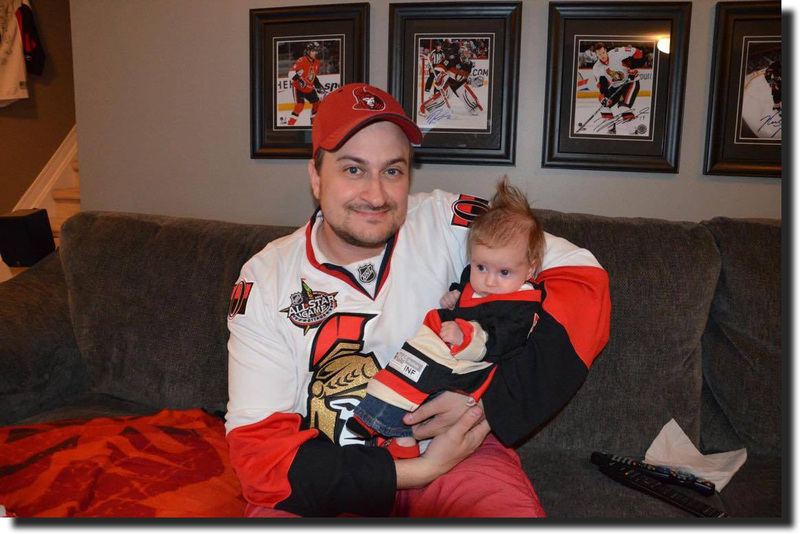 Former front office staffer and long-time Senators fan, Chris Mustakas poses with his daughter, and future sens fan, Kallie Mustakas. Buffalo Sabres, May 19th, 2007, from afar, in London, England. 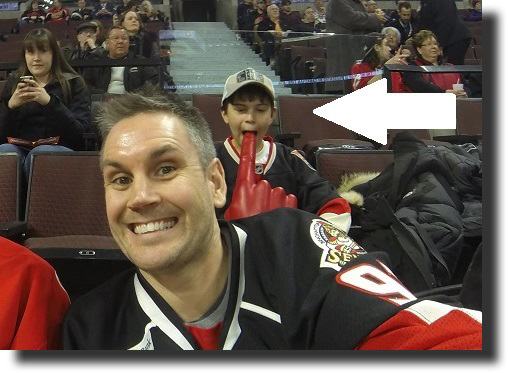 I’ve attended many Senators games since moving to Ottawa circa 2000, but the majority of those have been with (and often courtesy of) the Rouleau family. 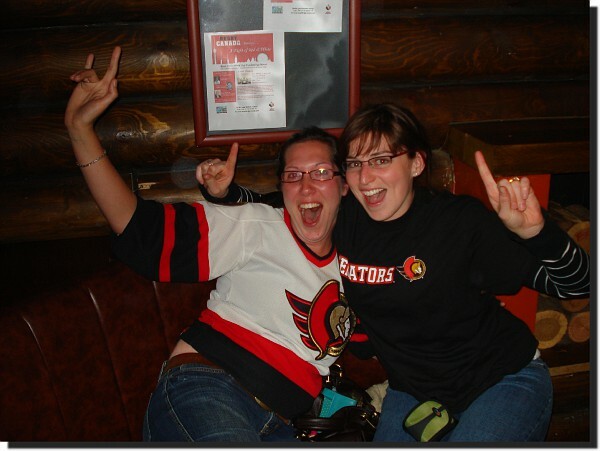 Elaine Rouleau have been staunch Sens supporters since day 1.